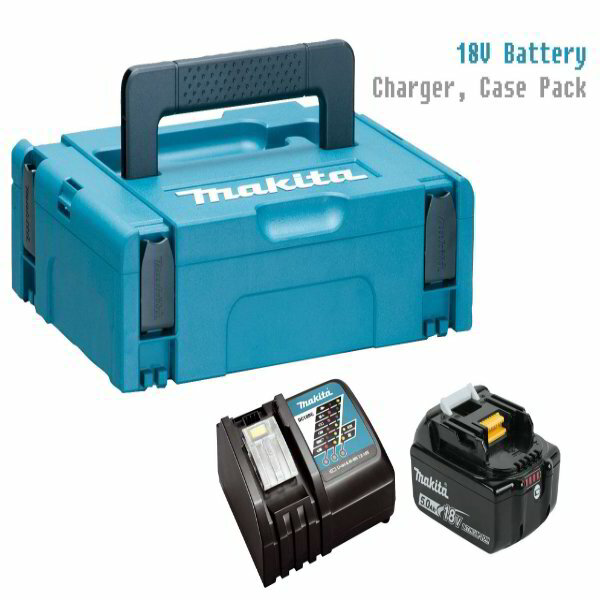 The Makita MKP1RT181 18V LXT Power Source Kit (CASE,BATTERY,CHARGER) includes a piece of 18V 5.0Ah Li-ion cordless battery, DC18RC fast charger, and a sturdy Makpac connetor case. The DC18RC is a compact sized fast charger that allows to charge faster than other brands. The Makpac connetor case comes with collapsible handles, making it easier and more convenient to move and store.